The C&C Burkman Family Blog:: LAMB DAYS!!! 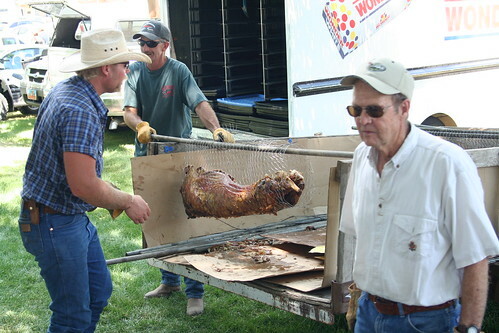 In what is becoming a tradition, we spent our weekend in Fountain Green, Utah, for Lamb Days!! What is Lamb Days you ask? Or perhaps, where is Fountain Green? Both good questions. Fountain Green is in the middle of nowhere, Utah, between Nephi and Manti. 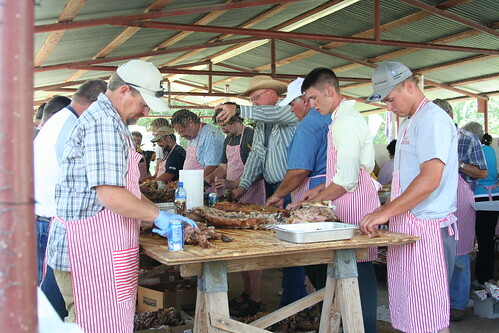 Lamb Days is a weekend event where people from all over the county get together for two days of activities and fun. Mutton busting, lamb judging and auction, sheep shearing, and lots of lamb to eat are probably where they get the "Lamb" in "Lamb Days". Don't believe me? Here's a few pictures of lamb getting prepared for lamb-burgers. People line up for these a few hours before they're ready. We spent the day with our good friends, Josh and Mollie. Since there were just too many fun things going on, I can stretch this weekend into 2 or 3 more posts! If you can't handle the suspense and want to see some more pictures, head over to our flickr page here --> Click me! 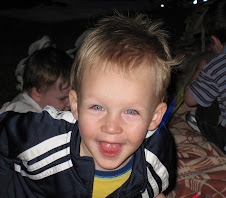 So Carter's eyes look creepy in most of those pictures, they look like marbles! Which is a good thing I've just never seen eyes that blue. I was just thinking how weird it is that you and Molly have kids and you were all just hanging out, it's kinda trippy.